Still basking in the rave reviews coming from the Lagos leg of the Star Music Trek concert which held at FESTAC, Lagos on June 8, 2013, superstar performers M.I, Ice Prince, J Martins, Naeto C, are ready to give eager Lokoja fans an even more exciting thrill at the next stage of the concert which will hold at Lokoja Stadium, Lokoja. Kogi State on June 15 2013. The first leg of the concert which had over 50,000 fans in attendance was a spectacular event with electrifying performances from the talented duo, Psquare, Africa’s number one rapper, MI, multi award winning artiste, IcePrince, Naija Ninja, Sound Sultan, hit maker Kcee, fast rising pop artiste, Kas, and winners of Star Quest Nigeria 2012, Crystals. “The Lagos concert was awesome, the fans have a way of always inspiring me. I’m really excited, can’t wait see our fans in Lokoja and share the love.” M.I says. Ice Prince, who rocked the stage in Festac says “We rocked Lagos. We’ll do it again in Lokoja and even better! 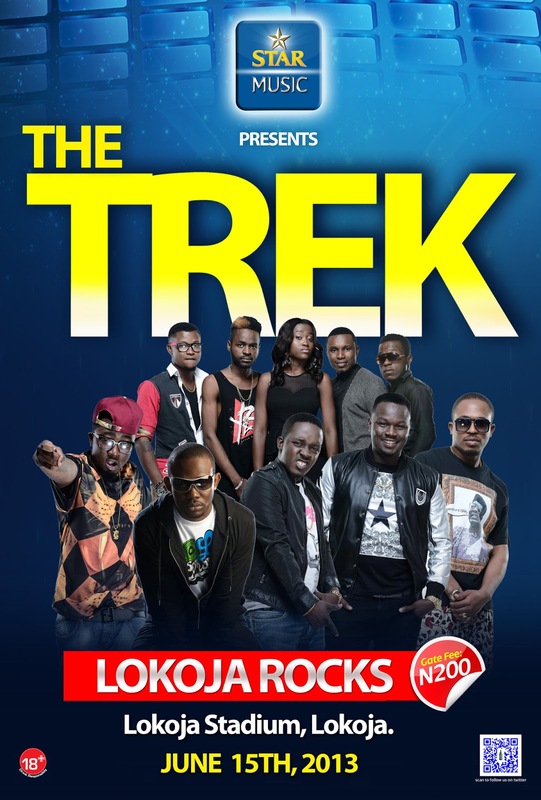 Our fans in Lokoja can expect the very best of music, surprise gifts and the usual fantastic Star Music Trek experience. Other artistes who will be performing at the event include J Martins, Dr Sid and 2010 Star Quest winners, JukeBox. Star Music Trek 2013 spanning 10 weeks, will tour 8 other cities across the country, namely Aba, Abeokuta, Agege,(-Lagos) Asaba, Enugu, (-Lagos) Nnewi, Owerri and Surulere (Lagos).